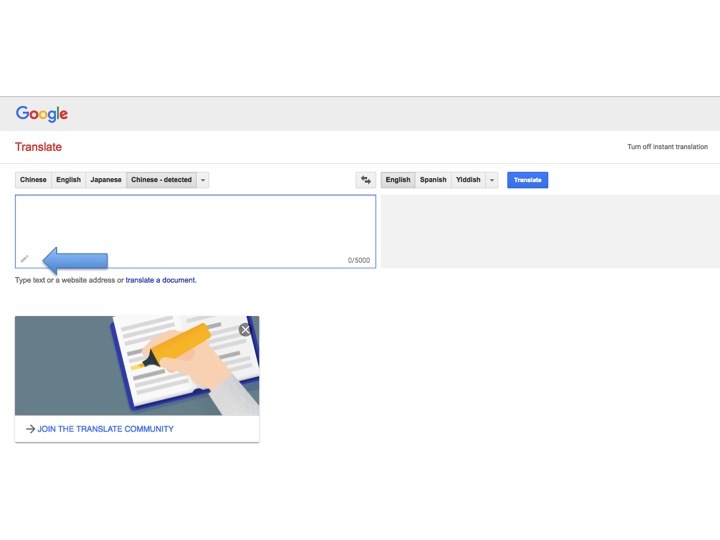 While many people are familiar with the ability to type or enter a link to a Web page written in a foreign language into the Google Translate tool, fewer are aware that you can also handwrite or draw characters or pictographs of languages (such as Chinese, Japanese, or Korean) that do not use the "Latin/Roman/Western" characters used in the English (and other Western languages') alphabet. You can use this feature in any web browser on either Windows or MacOS computers. A touch screen is not required. 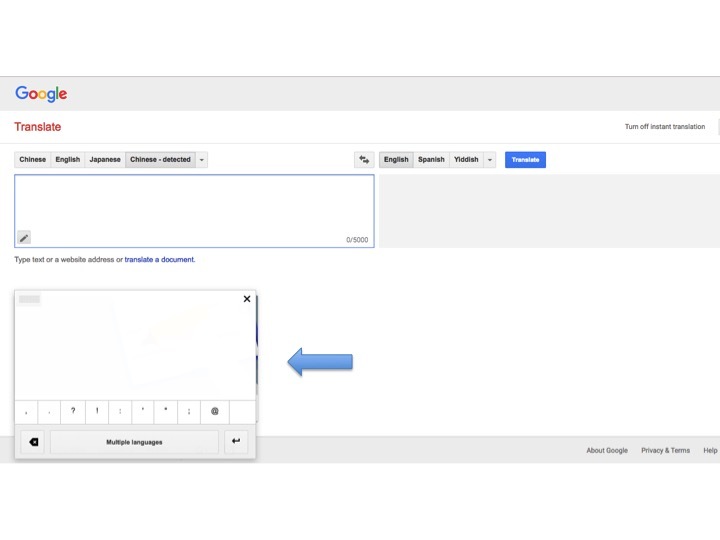 To use this feature from the Google Translate Web page, click the pencil icon in the lower left-hand corner of the box where you would ordinarily type your text (or would enter the URL of a Web page) to be translated. Then click the blue "Enter" button in the lower right-hand corner of the drawing box (above). 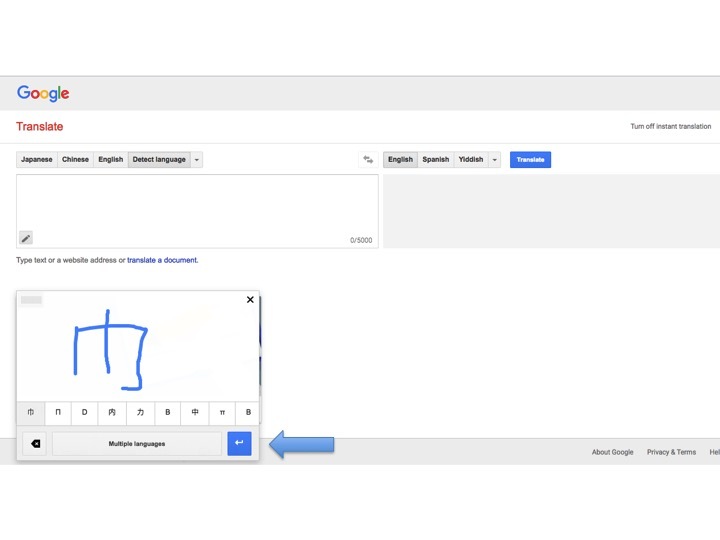 Google Translate then "recognizes" the character you drew and translates it into your chosen language. This feature is also available in the Google Translate Android and iOS mobile apps. 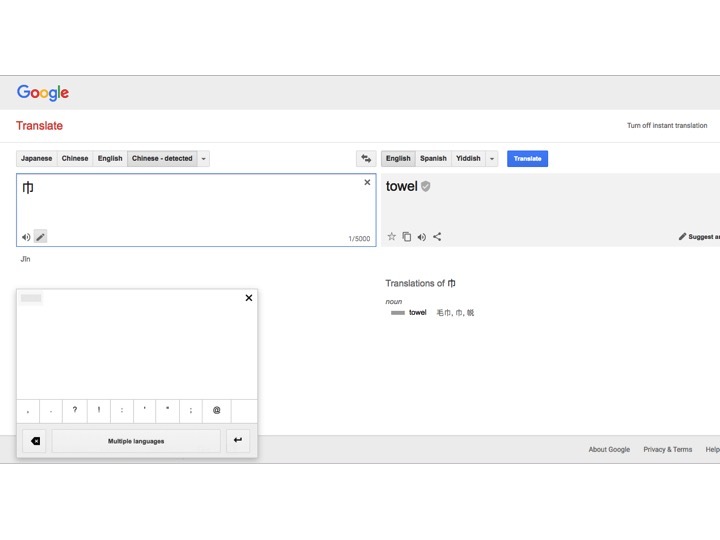 Google Translate can recognize and translate between 103 distinct languages when text is typed into its translate box and 38 languages when using a mobile device's camera to take a picture of text (such as a sign).